Books2Mention is honored to have best-selling author Lindsay McKenna as our featured author this month. Lindsay McKenna has written over one hundred books and sold FIFTEEN million books worldwide. 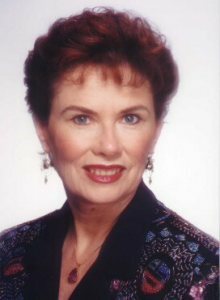 She has penned successful books in both romance, historical, mass market and created the sub-genre of military romance. She has won multiple awards and is known as the "Top Gun of Women's Military Fiction." Lindsay has three books under movie option contract and being pitched to Hollywood moguls: Valkyrie, Beginnings (MayDay), and Code of Silence. Lindsay's new book is entitled Reunion and destined to be another exciting read by this talented writer. B2M proudly presents our exclusive interview with Lindsay McKenna. B2M: First of all, please tell our readers about your new book, Reunion. LINDSAY: Thanks for having me on your wonderful website, Patricia. It’s an honor to be here. REUNION is book 4 of a 6-book series for Silhouette Nocturne. It is entitled WARRIORS FOR THE LIGHT. In October, 2006, UNFORGIVEN was the launch book for Silhouette Nocturne, and it kicked off three of the six books. DARK TRUTH was in July, 2007 and THE QUEST followed in February, 2008. And then my mother died that very same month. It took awhile for me to get back into the writing saddle. Then, in 2009, I finished the last three books of this series, which are now coming out in April, May (THE ADVERSARY) and June (GUARDIAN). I had intended to continue writing a couple every year but “real life” takes over sometimes for all writers and we have other, more important things to attend to for awhile. That’s why all three of this series are coming out one month after another. I know readers like when that happens, but it was a fluke and it worked out that way. REUNION is the first of these three. The WARRIORS FOR THE LIGHT series is about the Emerald Key necklace that was created by the Incan Emperor, Pachacuti, in the 1500’s before the Spanish invaded Peru and disassembled the vast Incan Empire, he was their last, great emperor. I’ve spent six weeks down in Peru around Mach Picchu, where he lived. There’s a very special and mystical energy to this incredible mountain retreat. If I could go there and live, I would. When I went to Lima and visited the Museum of Gold, I saw many incredible Incan burial items. 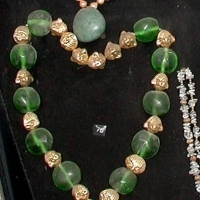 Among them, an emerald necklace, each sphere the size of a golf ball and utterly clear without inclusions. And emeralds almost always have lots of them. I remember staring through the glass and gawking at this huge necklace that contained these golf-ball sized emerald spheres on it. I was just stunned by their size and beauty. I’ll send along a photo of it so everyone can see it. From that “meeting” with this necklace, the Warriors for the Light were born. UNFORGIVEN, the launch book, takes the readers back to when the Emerald Key necklace is rediscovered….and the legend behind it. The emerald spheres were disassembled from the necklace and Incan priests and priestesses went around the world and hid them in sacred, powerful places. The legend was that whoever could find all the spheres and reassemble it and wear it, would change the energy of the Earth forever—for bad or good. And so, the series is about good versus evil. And who will find the spheres first? The bad guy, Victor Carrancho Guerra? Or, the good guys, the Vesica Pisces Foundation in Quito, Ecuador? You have to read the books to find out. B2M: You write romantic novels and military adventure. Do you have a particular preference between the two? LINDSAY: No, I don’t have a favorite. I love writing historical, mass market, romances, paranormal and military romances. I have a wide, varied background because we moved around so much (22 homes in 7 states in the first 18 years of my life), so I got to see a lot of subset “cultures” in different Western states. All are indelibly stamped on my memory. And the people, the characters, the eccentrics, the belief systems, ect. They are the stuff that help create my novels. And, coming from a metaphysical family (my father was 1/4 Eastern Cherokee and was a mystic/shaman) later gave me a strong interest in paranormal novels. I was struck by lightning at age 9 and that's when my father chose me to carry on the ‘medicine’ (a skill or talent) that runs through the family genetically. I trained with him from age 9-18. He never had a word for his medicine, only that it was healing and helpful and serving those who suffered. In 1985 I picked up a paperback at a bookstore on Shamanism and realized that defined what I had been taught. In 1990 I began teaching others the method, Soul Recovery and Extraction. I have a vanguard of over sixty-five shamanic facilitators who have trained with me from around the world. They are out there doing good things for people, animals, and Mother Earth. My metaphysical background allows me to put a lot of ‘truth’ in my paranormals. It ain’t all fiction, haha. But I let the readers decide what part is fiction and what parts are not. My military background was the US Navy and my years spent there taught me another world filled with wonderful characters. My mother was an astrologer and at age 9, she began to teach me what she knew. I became a professional astrologer in 1970 and am one of the few medical astrologers in the world. In 1980 I wrote The American Book of Nutrition and Medical Astrology. Later, I bought the rights back and began to continue publishing it with a new title: Medical Astrology. I have given workshops and seminars around the world on the Red Road, Medical Astrology, writing, and SRE. As a professional homeopath, I have written four non-fiction books on the topic and again, traveled the world talking about this wonderful alternative medicine. So, you can see that my life is really comprised of many lifetimes squeezed into one. I have no problem thinking about a topic to write about that I want to share with my wonderful readers. LINDSAY: A theme. Hope. Faith. Redemption. The story has to be going somewhere, has to make a statement and has to tell the reader what it’s heart is really all about. I write stories from my heart to the reader’s heart. My passion, my love of what I can do is a natural high for me. I get up every morning looking forward to the day with great excitement and anticipation. I never know what my characters are going to do until I sit down at the computer, move into an altered state and allow the ‘download’ to begin. As I see the chapter unfold (I get the movie screen in full color across my brow), I hear it, feel it, taste it , smell it and know what each character is feeling. I often write about deeply wounded people because most of us are. It’s how we deal with our wounding every day with others and ourselves, that counts. I believe in redemption; even a bad past, bad choices we can grow out of, transform like the dragonfly from water to air, and become a good person. We call these people “wounded healers.” And so, I write about my own kind, because all shamans are exactly that. We take on some grievous, soul shattering wound, nearly die (or die and come back to life from it) and then fight to heal ourselves. It usually takes decades, but once it is done, we can turn around and help others with similar wounding. That is what I write about. I like showing the character’s wounding and how he or she work through it and then transform. LINDSAY: That it is an organic process. I am very fortunate to be able to shift into an altered state and get my download chapter as I write it. I’m always in awe of this magical process. I don’t know why I have it, but there it is. I’m always grateful for this creative and living birth as the book comes to life. B2M: Do you have a favorite among the books you've written? LINDSAY: My favorite of all time is VALKYRIE by Lindsay McKenna(E-book ($5.00/print-on-demand book: $14.95) with Hard Shell Word Factory, Hard Shell Word Factory, PO Box 161, Amherst Junction, WI 54407. 1-715-824-5542-phone. 1-715-824-3875—fax. Readers can get it as a POD (print-on-demand) or ebook. The reason why it’s my favorite is that it was my very first novel I ever attempted to write. And something came over me as I wrote it; magic. I then sent it to 29 publishers and got 29 reject slips on it. I wasn’t detoured because I knew the book was great. I put it away for ten years, took it back out and polished it. I sent it out again to the shrinking publishers and got nothing but rejects on it. Understand, this book was not badly written—it was the topic that was the reason it was rejected. It was about women in combat. I have this ‘third sight’ where I see things happening ten or twenty years in advance. And I wrote about women in combat. Well, until it happened, starting in the Gulf Wars, the publishing industry just couldn’t wrap their heads around it. Now, in Afghanistan and Iraq women are on the front lines every day. If that ain’t combat, nothing is. And so, I approached Hard Shell about taking it on as a POD and Ebook. They did. And the joke was that VALKYRIE went on to receive the Romantic Times Ebook of the year!!! It continues to sell briskly to this day. Check it out! B2M: Are you inspired by other writers? If so, who are some of your favorites? LINDSAY: I was very lucky, I lived in a time when public schools had you read a lot of good fiction (The Scarlet Letter, The Sun Also Rises, Catcher in the Rye, for example) and of all of them, I fell heart and soul into Ernest Hemingway’s work. I read every one of his books. I absorbed them, I was so hungry for what he wrote about, and how he wrote about it. But then, looking back on it, Ernest wrote about his experiences in life just as I do, so perhaps that was the ‘hook’ that made me a lifelong lover of his books. He also wrote romance. My favorite is FOR WHOM THE BELLS TOLL. Priceless. Beautiful. Haunting. I do not compare my own writing to his, for he’s an icon of word beauty. But we do share that similar walk in life of writing what we know: our experiences, and then putting them on paper (more or less) to share with our faithful readers. LINDSAY: Getting a letter or email from a reader. I love how one of my books touches their life. It’s magical. It’s humbling. It’s euphoric that one human can reach out and connect with another and make some positive, healing change in their lives like that. I stand in awe of it. And I’m grateful to be able to facilitate this kind of energy exchange with my readers from time to time. B2M: You are a very accomplished person with so many successful books written, a background in the military, test piloting and training, being a firefighter and EMT. What's next on your agenda? LINDSAY: To write what I know and share it with my insatiable readers who are always asking for more books a year than I can write. I appreciate their appetite, but I gotta have a life outside of telling stories J I love my Facebook and Twitter connections and everyone is invited to join me if you want. I also have two blogs. One is called http://talesfromechocanyon.blogspot.com and it literally is what is happening where I live and my daily life—and what kind of magical and interesting and odd things go on in it. It is a reflection of me in all my facets. The other blog is http://medicalastrologybyeileennauman.blogspot.com and I hope to leave my knowledge of this very rare branch of astrology ‘out there’ so that young people coming up will get the info in the Net and use it as a platform to work in this science. I think I’ve squeezed as many lives as I can into one lifetime and want to turn around and share with those who are interested. B2M: If you could offer aspiring writers advice, what would it be? LINDSAY: Write from your heart. Don't ever compromise what ignites your passion. Certainly, VALKYRIE is a good example of this in action. I have NEVER swerved from writing what I wanted to write—the way I wanted to write it. To thine ownself be true. You must live it whether you’re a writer or not. I’m very, very fortunate that my readers like what I write because, ultimately, I write for myself. I write what I would like to read if I picked up a book by another author. I don’t do “fads” in publishing. I write what I know. I write what inspires me and hopefully, will touch my readers with equal passion that I felt while creating it. B2M: What can readers expect to read from you next? HIS WOMAN IN COMMAND, Sil. Romantic Suspense, March, 2010, Black Jaguar Squadron/Morgan’s Mercenaries, book 1 of 3) Nike’s tale. Book 1. DANGEROUS IDENTITY, HQN, December 2010, Lindsay McKenna. Book 2 of the Jackson Hole, Wyoming ongoing series in HQN.. Deputy Sheriff Cade Garner and Rachel Carson’s story. (SHADOWS FROM THE PAST, HQN, Dec. 2009 was Book 1). I will continue to write about the ‘rest’ of the Trayhern Dynasty. Morgan’s Mercenaries is the longest running saga in publishing history! It has now got 33 books to its credit. I will be writing about Alyssa and Noah Trayhern’s children in the future. I have completed all five of Morgan and Laura Trayhern’s books as of this year. Now, I get to write about the other courageous children and I’m very excited about it, as I hope all the Morgan’s readers are. I’m creating another saga. This time it is set in Jackson Hole, Wyoming, The first book, SHADOWS FROM THE PAST, HQN, Dec 2009, just came out. And then, DEADLY IDENTITY, HQN, Dec 2010, will be book #2. It is about the people of this cow town set under the shadow of the mighty Grand Tetons. As my readers know, if I start a saga, I stick with it. HQN is going to be publishing TWO books a year beginning in 2011 from this new series and I’m thrilled about it. There will be stories of tough-as-nails ranchers, itinerate cowboys, policemen, firefighters and many others who people this amazing place. Jackson Hole is one of my favorite ‘watering holes’ in the world. I go up there just about every summer and do a lot of wildlife photography. There’s no place else on Earth like it. Plus, Grand Teton National Park and Yellow Stone National Park are fifty miles apart and Jackson Hole sits right on the periphery of it all. It’s a very exciting place to write about. I know I won’t run out of material! B2M: Lindsay we encourage you to continue writing books that offer great stories with interesting characters. We look forward to hearing more from you. LINDSAY: Thank you for having me. I appreciate your support and kindness. And I love the videos that you have made for me! We’re a great team! You are welcome to visit the website of Lindsay McKenna at www.LindsayMcKenna.com.